It’s hot in central Pennsylvania this weekend. 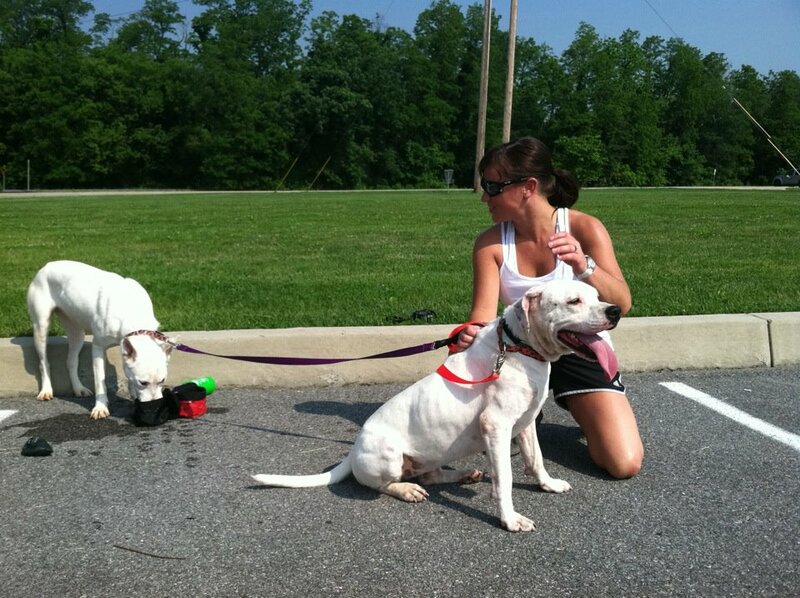 As a general rule, we will not run with dogs when the temperature is 80 degrees or higher. When the temperature is near that point, we may reduce the length of runs or intensity. Dogs do not sweat through their skin like humans but cool themselves primarily through panting. 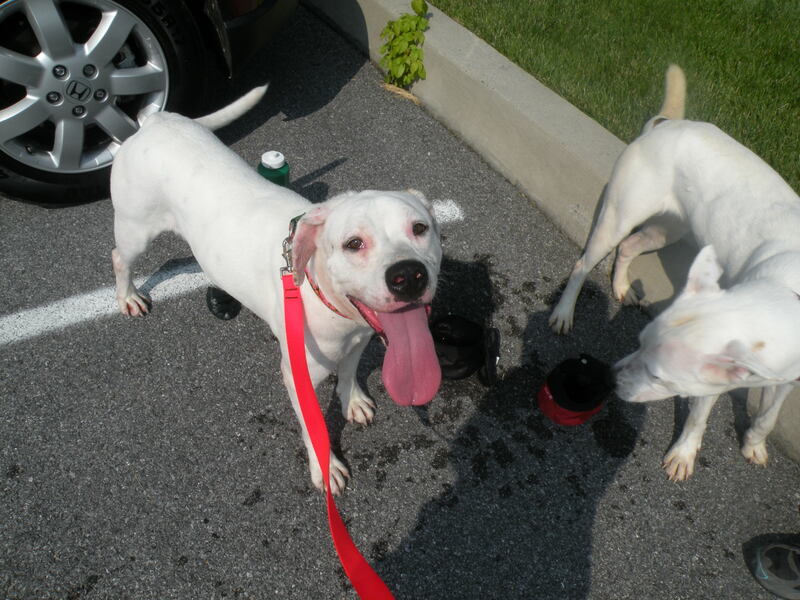 Therefore, dogs are susceptible to heat stroke and must be monitored to ensure they do not overheat. Luckily the rail trail where we typically run is shaded and we are usually running in the early morning before the temperatures rise too high. 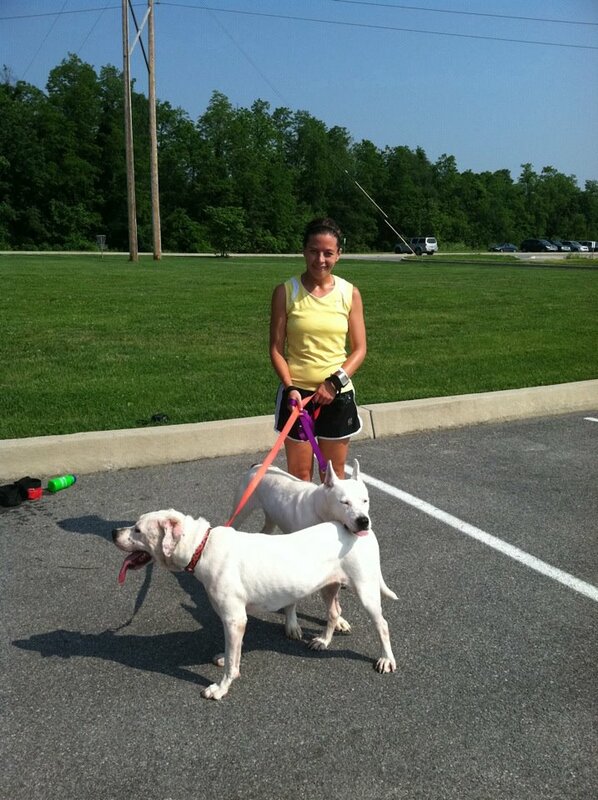 This weekend Abigale and Cricket from Better Days Animal League braved the warmer temperatures to hit the trail for a run. These two pals get along great but it was also the first time we tried to run with more than one dog during one of the weekend runs. Fairly quickly into our three mile run we decided both would do better if we ran with them individually so they were not trying to compete with each other. Quickly after placing some distance between us, both dogs started to settle into the run and relaxed. Cricket settled into her pace about half a mile into the three mile run and Abigale about the same, although a squirrel near the end seemed to break her focus a bit! Cricket seems to tire before Abigale but both enjoyed their outing. 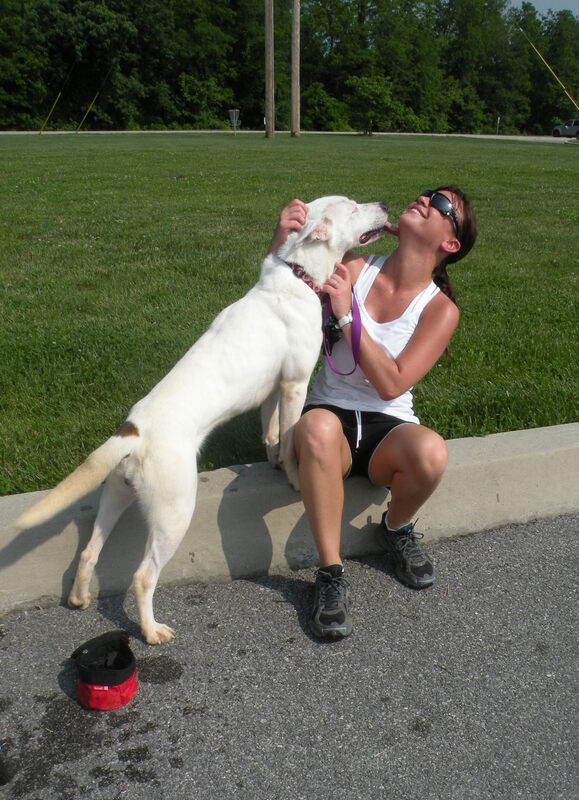 After our run, both dogs enjoyed the post-run love we gave them before heading back to the shelter where they’ll await their forever home. 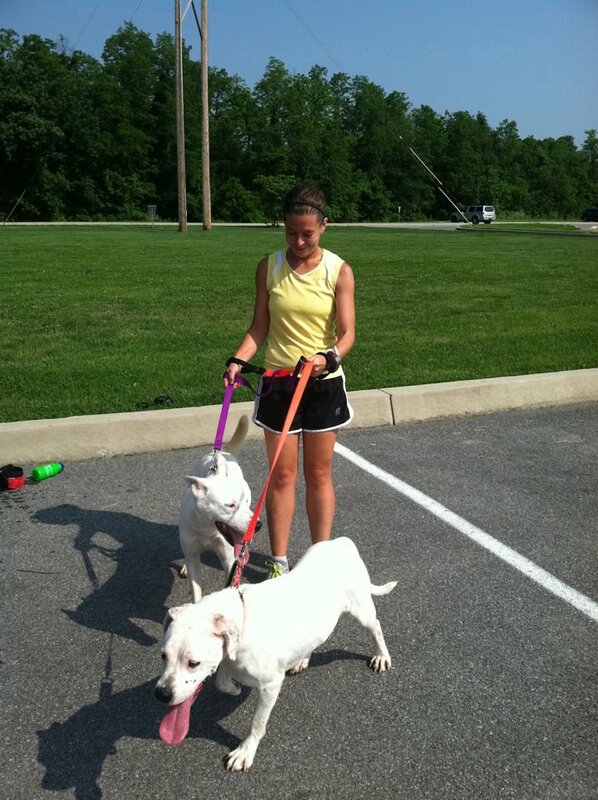 A big thank you to Amy for coming out to run with us this week. Abigale and Cricket appreciate it as well. Interested in running? Click here for more information, the dogs will love you for it!